Personalize this tumbler for fast refreshment – 24HR! The translucent body provides a clear view of your drink and your logo. 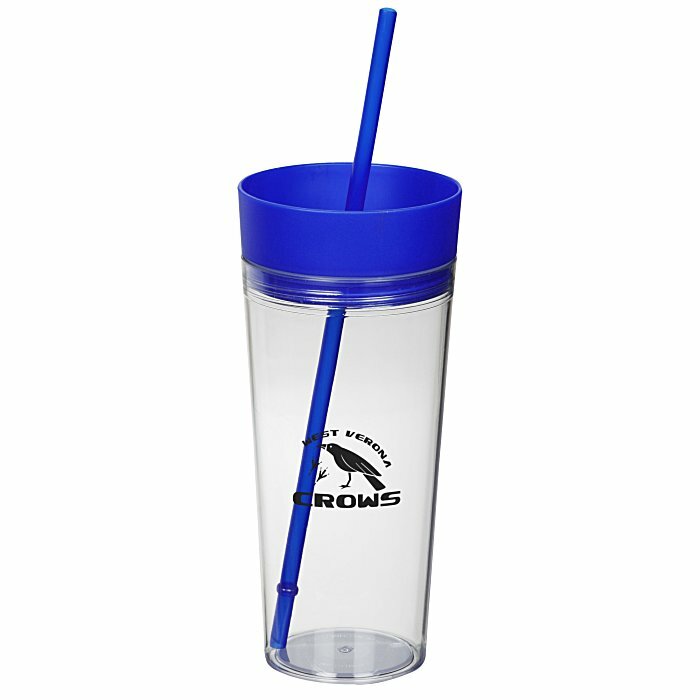 This single-wall tumbler is made with a durable plastic, strong enough to hold up to daily use. 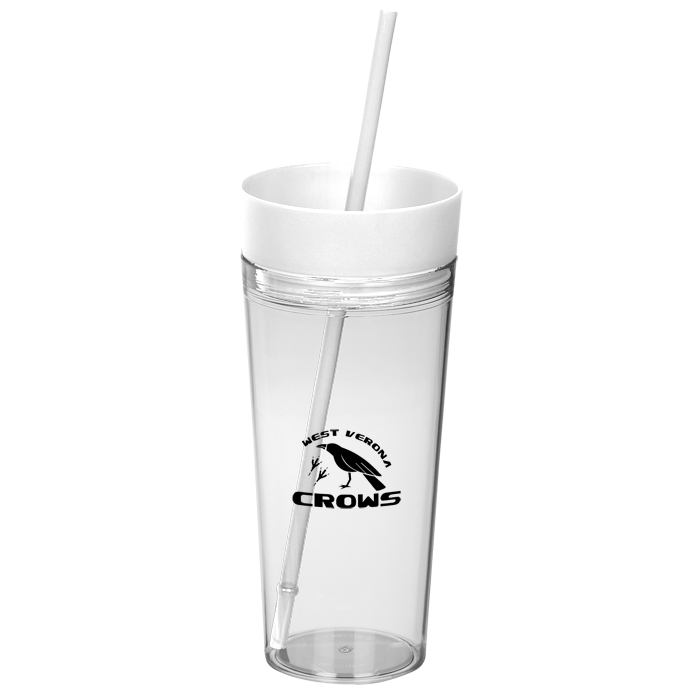 Each tumbler includes a screw-on lid with twist seal features so you don’t lose a drop of your favorite beverage. Clear tumbler is emphasized by a solid-colored lid and translucent colored straw. This BPA-free tumbler is made from #6 plastic, which can only be recycled in a few limited areas; check locally for more information.